LG's next flagship will be dubbed the "G2"
LG's Optimus G was one of our favorite phones of 2012 and early 2013 with incredibly high specs, a fantastic display and a premium build quality, it was a fantastic phone and honestly a great showing from LG. Now it seems that the "Optimus" moniker will not be carried over to this year's model as we've gotten word from our contacts at LG that the Optimus G's successor will simply be dubbed the LG G2. While we do like some continuity in a product line, the G2 is a fine name that has a nice ring but is riddled by previous devices also dubbed G2 that didn't fair so well. Both on T-Mobile in the US, the G2x from LG ironically and the G2 from HTC were decent phones at launch but really didn't stand the test of time. Expect LG to pull out all the stops to compete with the HTC One, Samsung Galaxy S4 and of course upcoming iPhone, check out the full press release after the break. 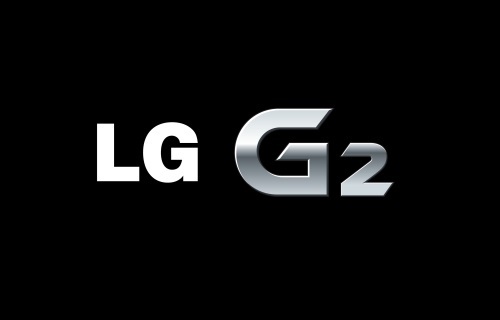 TORONTO, July 18, 2013 — The next flagship device from LG Electronics (LG) will be officially known as G2 and will be the first smartphone from LG to be launched as part of the company’s new “G” premium brand. Future smartphones in the same series will carry only the G name while the branding of mobile devices that have already been introduced will continue unchanged. LG Electronics Inc. (KSE: 066570.KS) is a global leader and technology innovator in consumer electronics, mobile communications and home appliances, employing 87,000 people working in 113 offices around the world. With 2012 global sales of USD 45.22 billion (KRW 50.96 trillion), LG comprises four business units – Home Entertainment, Mobile Communications, Home Appliance, and Air Conditioning & Energy Solution – and is one of the world’s leading producers of flat panel TVs, mobile devices, air conditioners, washing machines and refrigerators. LG Electronics is a 2013 ENERGY STAR® Partner of the Year. For more news and information on LG Electronics, please visit www.LGnewsroom.com. LG Electronics, Inc. (KSE: 066570.KS) is a global leader and technology innovator in consumer electronics, mobile communications and home appliances, employing more than 93,000 people working in over 120 operations around the world. With 2010 global sales of 55.8 trillion Korean won (USD 48.2 billion), LG comprises four business units – Home Entertainment, Mobile Communications, Home Appliance, and Air Conditioning & Energy Solutions. LG is one of the world’s leading producers of flat panel TVs, mobile devices, air conditioners, washing machines, and refrigerators. LG has signed a long-term agreement to become both a Global Partner and a Technology Partner of Formula 1™. As part of this top-level association, LG acquires exclusive designations and marketing rights as the official consumer electronics, mobile phone and data processor of this global sporting event. For more information, please visit www.lg.com. LG Electronics, inc., cotée à la bourse de Corée (KSE : 066570.KS), est un chef de file mondial en électronique, en communications mobiles et en électroménagers de même qu'une entreprise visionnaire dans le domaine des technologies. Exploitant plus de 117 établissements partout dans le monde, LG a généré des revenus annuels totaux de 49 milliards de dollars américains (54,26 billions de wons sud-coréens) en 2011. LG comprend quatre unités commerciales dans les domaines suivants : divertissement maison, communications mobiles, électroménagers et climatisation commerciale et solutions énergétiques. Elle est la plus grande productrice de téléviseurs à écran plat, d'appareils mobiles, de climatiseurs, de machines à laver et de réfrigérateurs. Pour de plus amples renseignements et des nouvelles sur LG Electronics, consultez www.LGnewsroom.com. La marque LG a été créée en 1995. L'entreprise est un chef de file mondial en produits électroniques, d'information et de communication, exploite plus de 117 établissements partout dans le monde et génère des revenus annuels totaux de plus de 49 milliards de dollars américains. LG Canada comprend cinq unités commerciales dans les domaines suivants : communications mobiles, électroménagers, divertissement maison, solutions d'entreprises et climatisation commerciale. L'entreprise a des bureaux à Toronto et Vancouver. LG Canada s'efforce d'offrir des produits primés reconnus pour unir style et technologie. Ces produits novateurs comprennent les téléphones mobiles, les téléviseurs à écran plat, les ordinateurs portatifs et les électroménagers. Pour en savoir davantage, consultez www.LG.com.